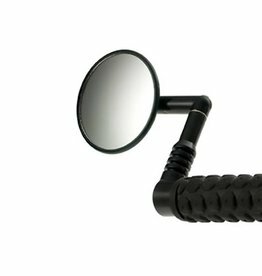 If you have to ride with a mirror, this design by Third Eye is a good choice. 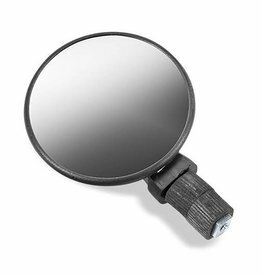 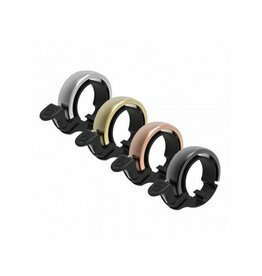 The Pro Helmet Mirror glues to the inner or outer surface of almost any helmet. 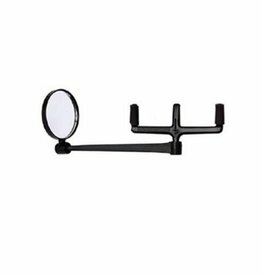 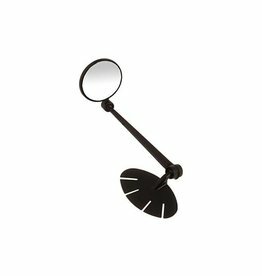 It has a longer arm and a larger mirror and has extreme range of adjustments.